The launch of Spiritual Activism at the GalGael Trust AGM in Govan, Glasgow. With the philosopher Dr Mary Midgley, autumn 2015: "Can we somehow manage to act both rightly and effectively? McIntosh (left) and Carmichael (right) have carefully studied the obstacles that have always made this look so hard. Their careful, sober reasoning and their case studies, reveal a map that leads the right way." 2. 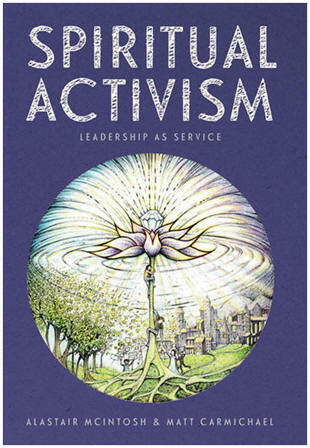 Sample chapter (with contents pages): "Nonviolence & the Powers that Be"
Matt and I (Alastair) use the expression - Spiritual Activism - to mean the spiritual underpinning of action for social and ecological justice. It is an underpinning, because it is not sufficient to think of spirituality - that which gives life - as an optional "dimension" or "element". If activism is not grounded in spirituality it cannot be sustained in the long run: we either burn out or sell out as the oil of life runs low. We need replenishment from the wellheads of life itself. No matter what religious tradition we may or may not be coming from, this re-sourcing is a question of depth psychology and, we argue, ultimately one of spirituality. 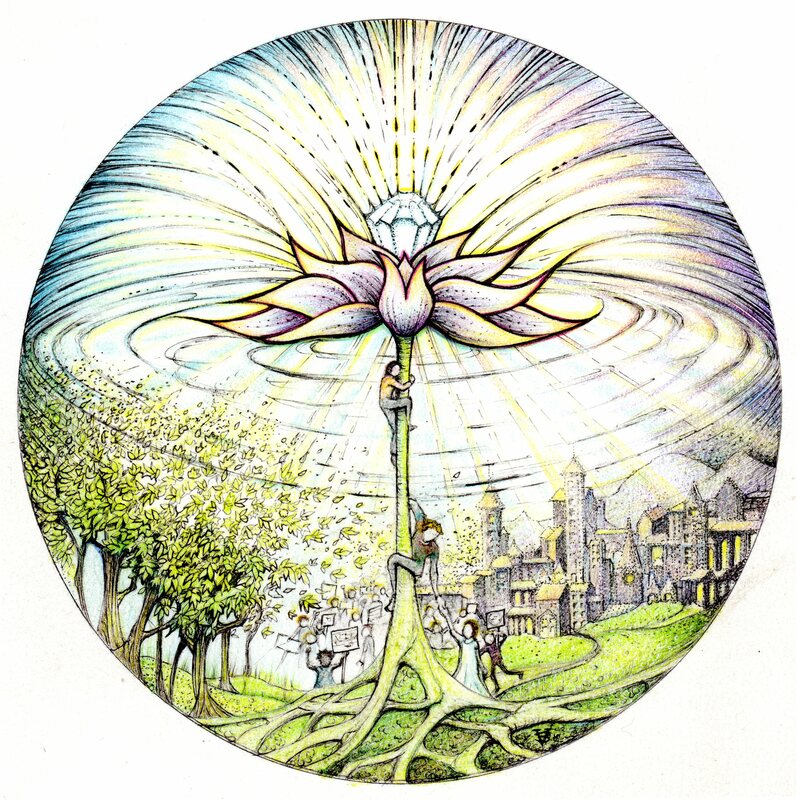 Starting around 1990 I taught accredited masters-level courses in human ecology (the relationships between the natural and the social environments) variously at the University of Edinburgh, the Open University and the University of Strathclyde. I also ran special sessions in many parts of the world, both in academic institutions and in grassroots communities. I'd long wanted to draw my rough teaching notes for my students into a handbook, but the pressures of an activist's life stopped me from properly getting down to it. However, in 2011, Schumacher North invited me to run a weekend training course at Hebden Bridge. One of the participants, Matt Carmichael, a climate change activist and English teacher from Leeds, asked if he might use my teaching handbook to run a course of his own through Schumacher North. The success of this resulted in him editing, expanding and updating my material, as well as finding a wonderful publisher in Green Books (UIT Cambridge Ltd). I am immensely grateful for this collaboration. 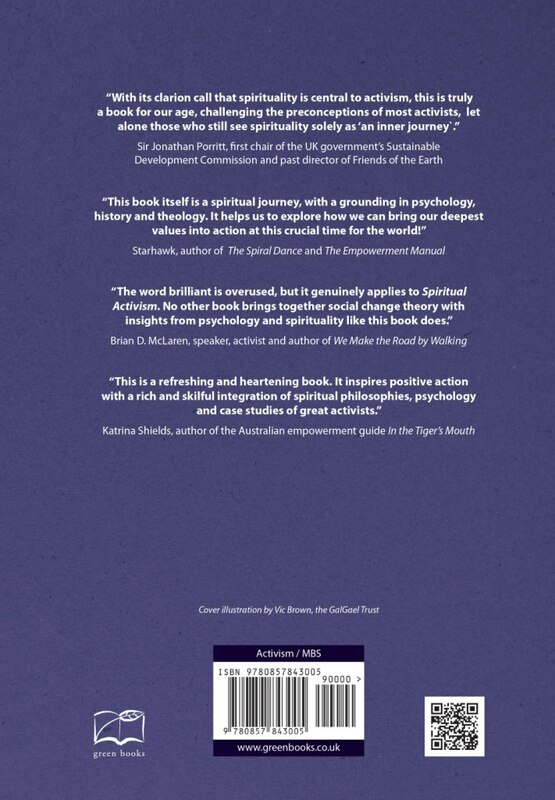 The result is a book that draws upon the activist life experience of us both, but also draws extensively on insights from social psychology, from the spiritual teachers of many different faiths, and from front-line activist experience, including direct action, with case studies of effective activists at the end of each of the ten chapters. "Were I still teaching this book would be on the first year reading list and thus part of a student's basic formation. It takes 'spirituality' out of the sphere of deconstructive conceptual analysis and serves up a real meal.”​ – Professor Richard Roberts, Emeritus Professor of Religious Studies, University of Lancaster; formerly Professor of Divinity, University of St Andrews. Scientific & Medical Network review- "Regardless of where you are, this book will help infuse your activism with spirituality or awaken your spirituality to the need for a more active expression." Sir Jonathon Porritt - "Book of the Year" - in Resurgence. Resurgence review - "This is bold stuff, unashamedly so. It is a call to activism divested from cynicism, drawing its power from truth and not from spin." Iona Community Coracle review (near foot of page) - "It will give you sustenance; it will keep you rooted in the good of life. And it will also make you think." 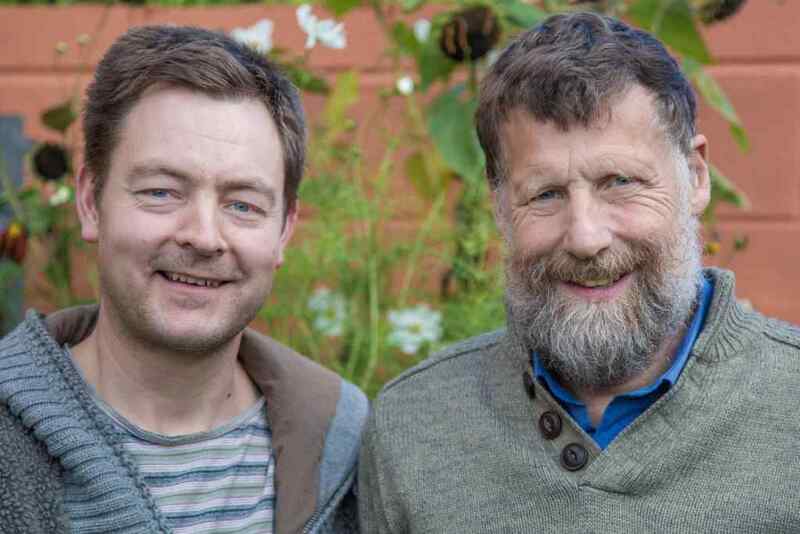 Peace News book review - "a profoundly important as well as timely book"
Ricky Ross (of Deacon Blue) on BBC Radio Scotland interviewing Alastair, followed by discussion on Buddhism and happiness (35 MB MP3 file, 25 mins). 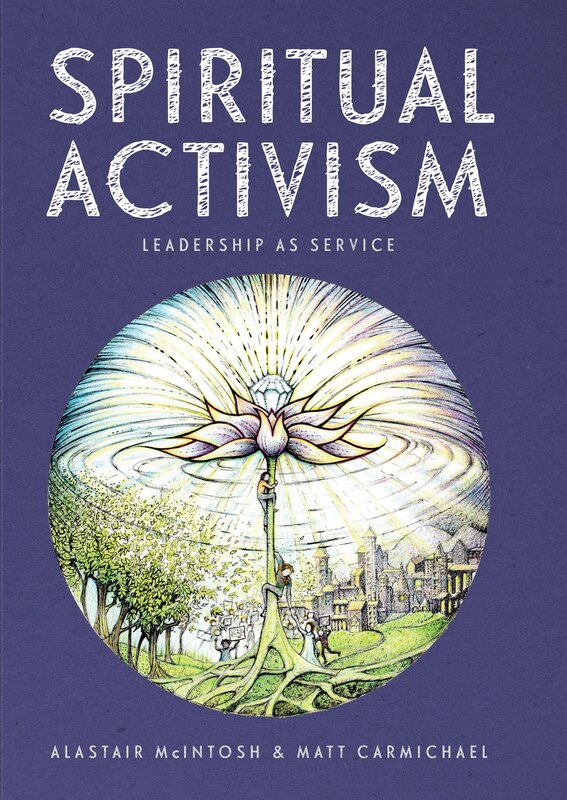 Make Wealth History - "In exploring the spiritual notion of ‘leadership as service’, the book finds an alternative to both the hierarchical leadership models of the world, and the idealism of ‘leaderless’ movements."